I was just wishing for summer to come and then we had a rainy Saturday. It was kind of nice to have a reason to stay inside and just hang out. I spent some time watching the drops fall on the ground just outside my window. It didn't take long for bigger puddles to form. 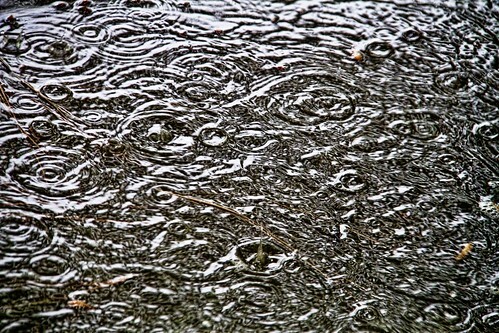 And the shapes the falling rain made in the puddle were almost hypnotic to watch.